When you bring up the topic of Bordeaux, dollar signs start to dance around in many people’s heads … and why not? This fabled region has a cache about it that transcends the truth. 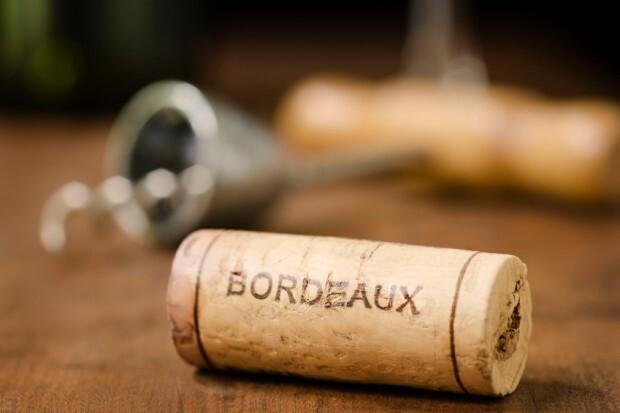 To a vast many Bordeaux is wine, it’s the “birthplace” of the blend, the be-all and end-all when it comes to the pressed and fermented grape; and it is seen as a place where the good ones are way out of your price range. There are lots of stories these days about Bordeaux being an investment and that puts many people off making a purchase or even investigating the section at their local wine store; they hear about the constantly rising prices of these wines and there’s just no budget for it. Which then demands the question: who has the kind of cash to buy Bordeaux anymore? The simple answer is: you do. You don’t have to break the bank to enjoy a good wine from this region; sure if you want to line the cellar walls with first, second and third growths then you will pay a pretty penny, but there are plenty of great values to be had. You just need to know what to look for. And that’s where I’ll swoop in to help. Is a $300 Bordeaux worth it? Sure, if you’re laying it down for the next 10 to 20 years. Studies have shown that wine is one of the soundest investments you can make these days. It even outperforms many blue chip stocks and mutual funds over the long haul. But if you’re like me, a nice $30 Bordeaux sounds like a much better investment, especially if it delivers flavour without breaking the bank. Something you could happily put on the table and has the cache without the highly inflated price tag. Well-priced and well-structured with nice firm tannins. There’s even a degree of elegance behind it all with its deep dark fruit and nice spice. Not sure I was rightly ready for the experience this wine offered, but what a treat with its coffee, mocha and ripe, dark fruit. Grippy, tongue-drying tannins and massive brooding dark fruit. This one needs some time, but it’s heading in the right direction. Not all Bordeaux need be big, ballsy and tannic. Fact is, this one is light and easy with its plum, blackberry and mineral; a good quaffing version of Bordeaux. The big year of 2010 has spawned this blackberry and cassis number loaded with plenty of tannins and spice. Just a touch over $30 this wine comes across as New World with its smooth dark fruit and supple, almost creamy, core. Very pleasant. Creamy coffee notes mix with smoke, black tea and tannins that bite back at the tongue. The balance here is amazing and inviting: dark smoke and coffee with hints of chocolate, mocha, blackberry and a fair bit of tannin grip. The dark berries in here mix with mocha, pencil shavings and toasty tannins. Mocha and black cherry lead things off with a smoothness and sexiness on the palate that includes coffee bean and anise. I hate to get ahead of things, but the finish on this wine is the most memorable part of it. Before you get there you’ll find smoky blackberry, cinnamon, and vanilla. This one seems to hit all the right notes and rounds the flavour bases with ease, from coffee bean and vanilla to cassis and plum. If you expect under $20 Bordeaux to underperform, think again: smoky dark fruit, plum and dark cherry with a big spiced finish. There’s a pleasant smoothness and approachability here with plenty of dark fruit and herbal notes, and that’s just for starters. Mocha, herbal, touch of cherry, new leather all supported by the lovely and lengthy finish. A pleasant blend of anise and red currant on the nose is replaced on the palate by cassis and seductive spice. Well balanced from nose to tongue: smoky-mocha, with dark fruit that plays possum from the very beginning but it’s coming; age this a few years or definitely decant for right now enjoyment.